A full box of fish came back to the dock after a Friday morning trip. Anglers caught their limit of King Mackerel along with a Cobia, Yellow-tail and Mutton Snapper, Rainbow Runners, Banded Rudderfish and False Albacore. The fish hit triple hooked sardines and ballyhoo fished either on top lines or while spooling the bottom. 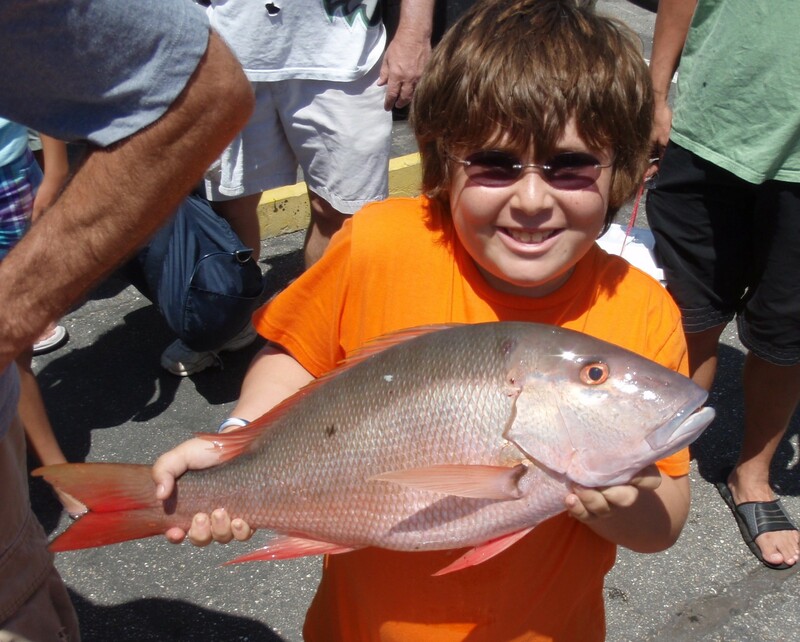 Junior VIP angler Max caught his seven pound Mutton snapper while fishing a ballyhoo on a knocker rig just before Easter. We didn’t know the Easter bunny knew how to scuba dive! Anglers spooling the bottom with bait-fish or fishing jigs tipped with either cut squid or fresh shrimp have been catching their limits of Yellow-tail Snapper. 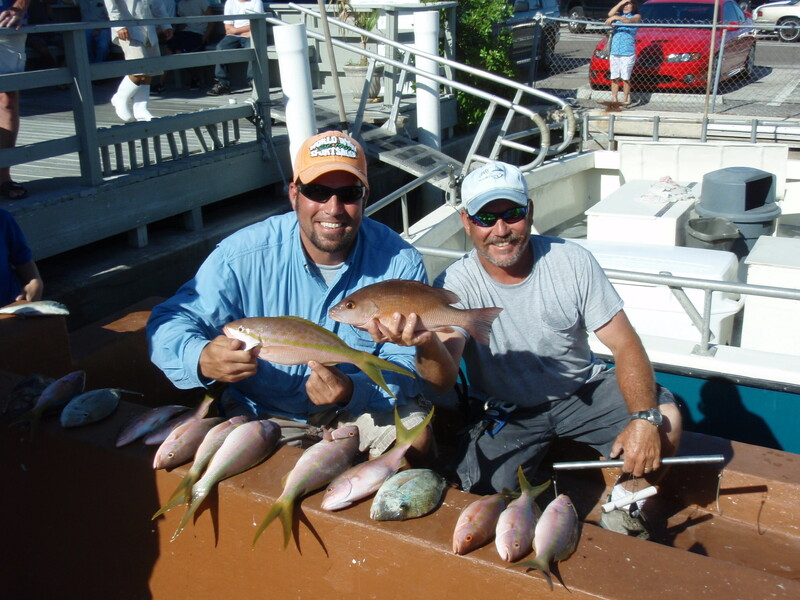 Other snapper species that have also been produced include Mangrove (Gray) Snapper, Lane Snapper, Mutton Snapper and even a few Dog Snapper. 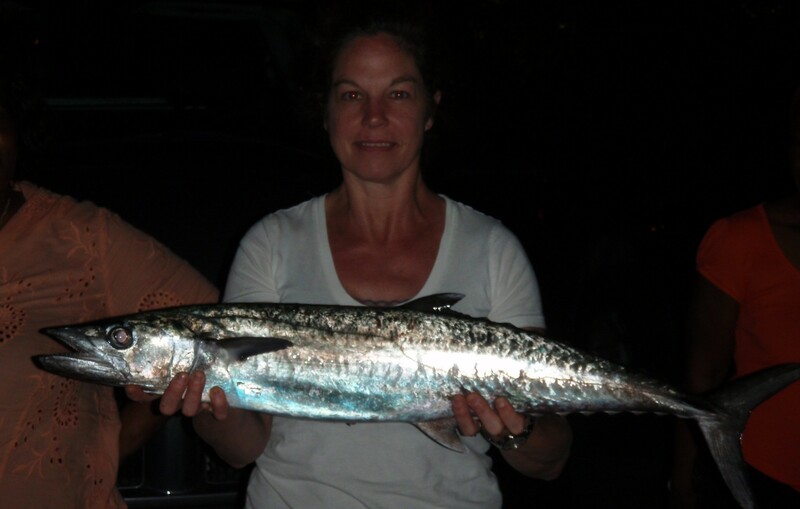 Anglers fishing during the night trips have been landing King Mackerel up to 30 pounds while fishing light wire leaders and fishing various depths. 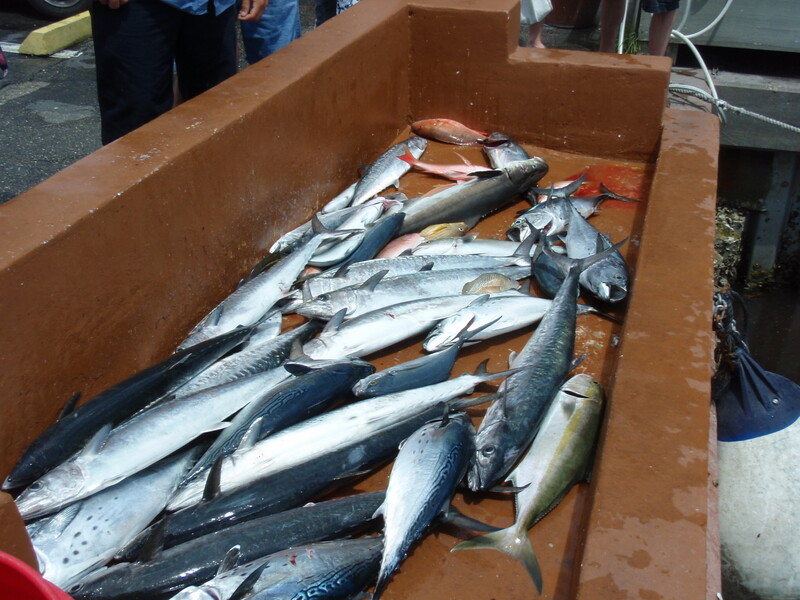 The evening trips are a cool alternative for those anglers who wish to beat the heat but don’t forget that the afternoon trips are also very cool while fishing under the shade of the boat with an ocean breeze caressing your face. May is just around the corner and the crews of the Lady K are looking forward to a another great month of fishing. 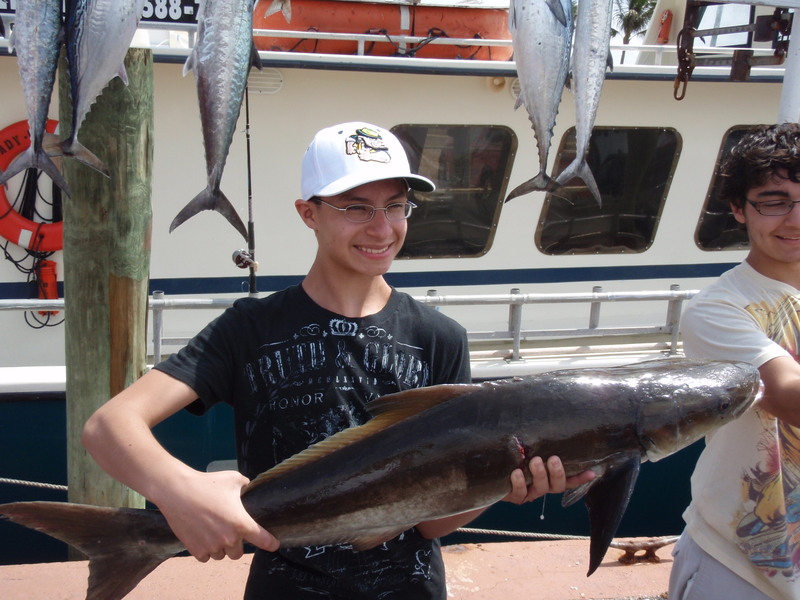 Come join the excitement with your family and friends today fishing aboard the Lady K!